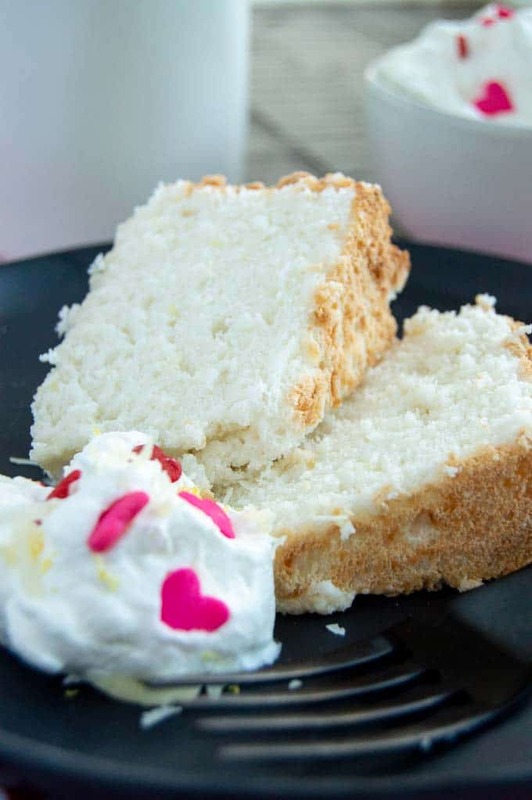 Lemon Coconut Angel Food Cake is so light, airy and slightly sticky. A perfect bite to go along with fresh fruit, whipped cream or by itself. When I was younger my Grandma made this Coconut Lemon Angel Food Cake but I would never eat it. I want to go back in time and tell my younger self I am an idiot. 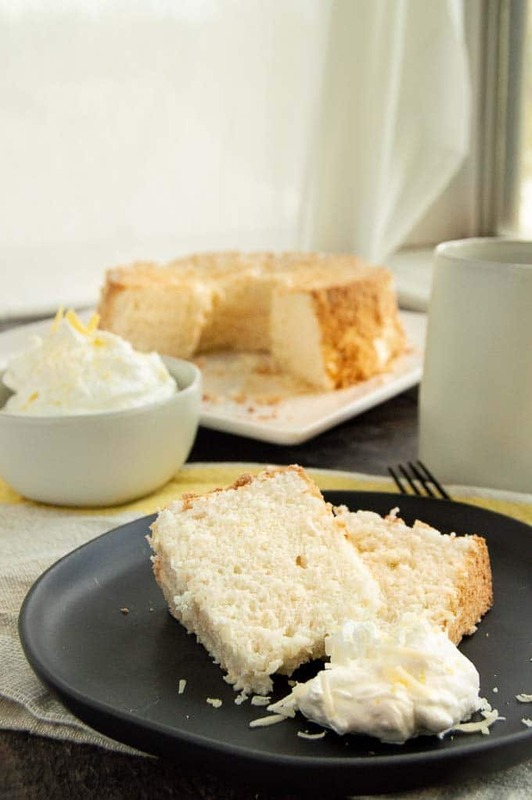 This Angel food cake is truly a bite full of heaven. 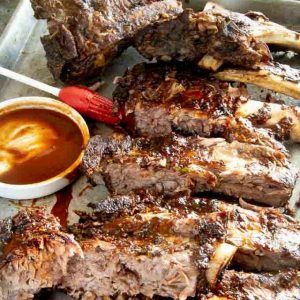 Super light and airy, kind of sticky and super moist and when you take a forkful, it basically dissolves right as you chew. 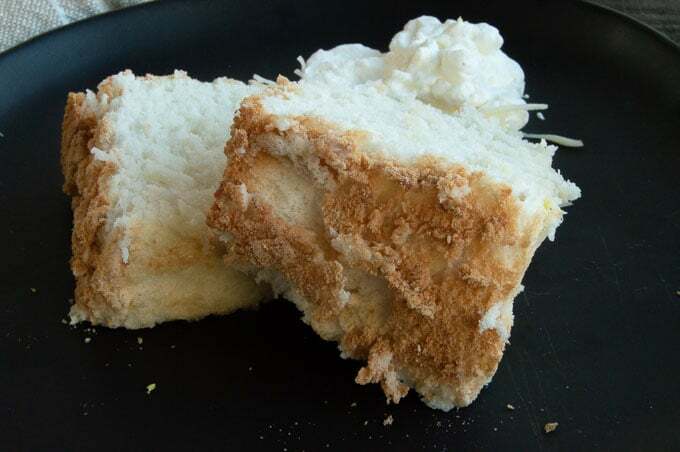 Angel Food Cake is actually a sponge like cake that is of American descent. It’s super light cake made from egg whites and flour and no fat. When it was first popular the cake was so light many people said it had to be the food of angels (this comes from the original recipe card from my Grandmother that looks like it was from the Junior League of Dallas in the early 1970’s. How do you make angel food cake? 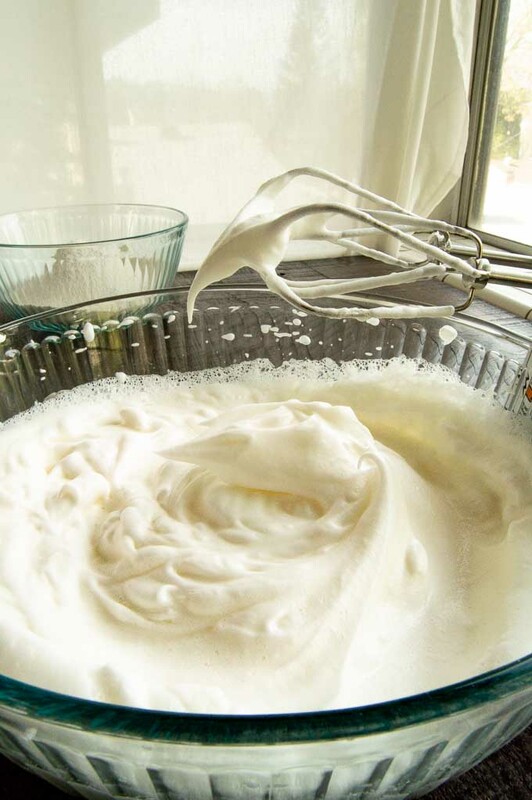 Make sure you use a clean dry bowl for whipping the egg whites. Any water will dilute the egg whites and will inhibit volume. It seems like a super small thing, but the volume gives the cake its light, airy texture that is critical for successful angel food cake. Start with the egg whites at room temperature. They not only whip faster, but they whip to more volume. I know I sound like I’m repeating myself, but its the volume thing again….. we want ALL the potential volume for light airy cake. When beating the egg whites you will want to not rush things. 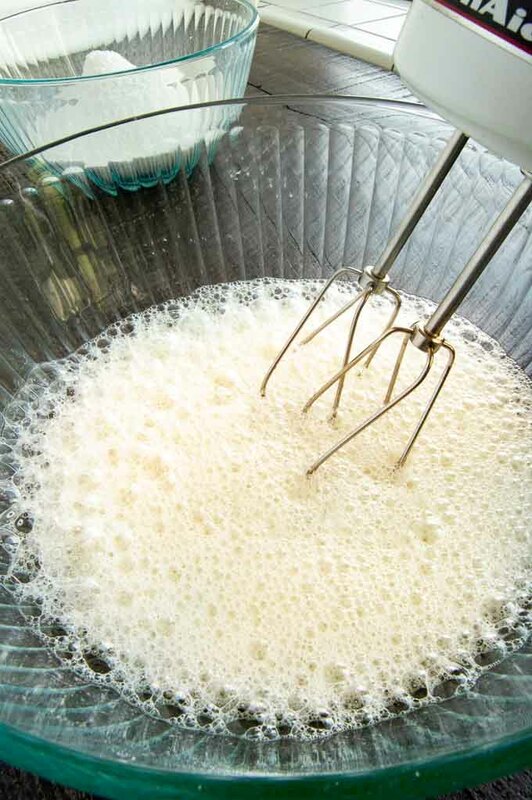 It takes a while for any mixer to get the egg whites to stiff, glossy peaks. You’ll know when they are done when the hold the peak shape and don’t drop back into the rest of the whites. When you are adding the flour mixture to the angel food cake batter you want to do so by hand. Using a spatula to just fold the flour into the egg whites by placing the spatula in then folding the batter over. 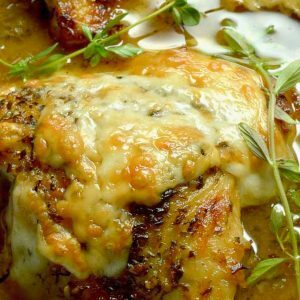 Pay special attention to not over mix it and take out more of the volume you have carefully made with the egg yolks. You will need to use a tube pan for an angel food cake. I suggest a non-stick one and I purchased this one just for this post. (My old one somehow went missing.) It makes getting the cake out to cook super easy. I placed the center piece upside down and the cake cooled perfectly and easily separated from the pan. PRO TIP: In baking, when you are folding in ingredients the purpose of folding is to maintain the volume of the batter. Split the dry ingredients you are adding into 3-4 sections. By folding in smaller portions it incorporates more quickly keeping the most volume possible. What can I use in place of cake flour? 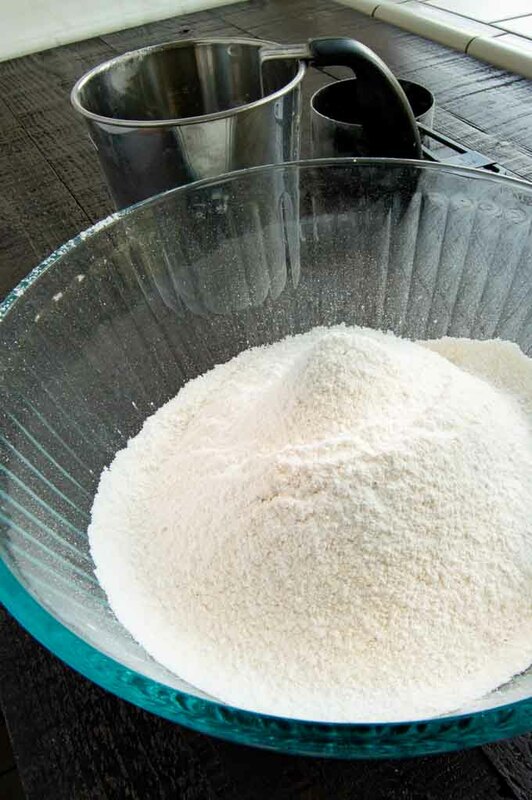 To use all purpose flour for a cake flour substitute for each cup you need measure out 1 cup of all purpose flour, then remove 2 tablespoons of it. Add to the all purpose flour 2 tablespoons cornstarch. Can I use this recipe to make cupcakes? Angel Food cupcakes are easily made with this recipe. It will make about 20 cupcakes. Fill the muffin tin about 2/3 full to account for rising during baking. Bake for 13-15 mins until the top springs back. Can I make Angel Food cake and freeze it? In my experience angel food cake is not nearly as good if you freeze it. Especially in this one with the coconut, the cake will be a little bit gummy. Can I make and angel food cake recipe a day before I need it? Coconut Lemon Angel Food Cake does keep well if you make it a couple of days ahead. Store the baked cake in a sealed container and it will keep for 4-5 days successfully. 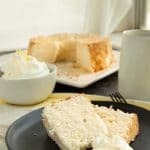 What can I serve with angel food cake? Serve it with a sweetened whipped cream, sliced strawberries or any fresh fruit. Can I use a bundt pan for angel food cake? You need to use a tube pan for angel food cake. I tried with a nonstick bundt pan and it stuck to the pan and was a crumble mess. I highly recommend purchasing the tube pan. More Classic Dessert Recipes you might enjoy! Entertaining tips! Looking for easy Valentine Treats? 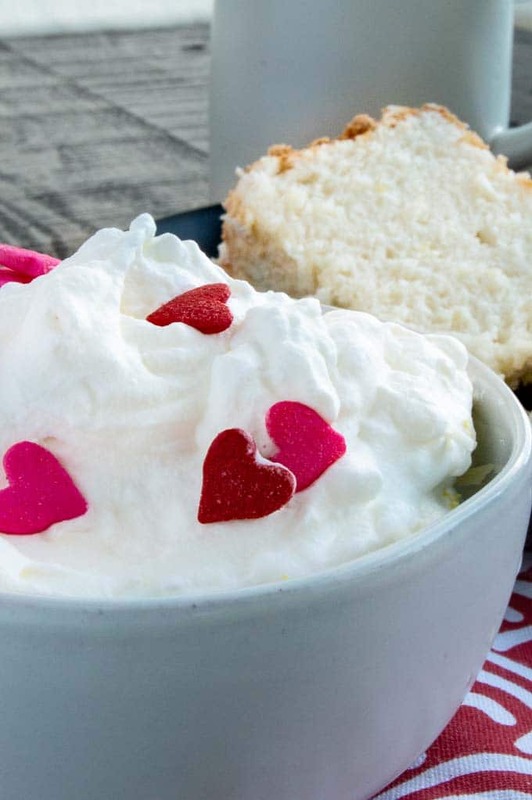 Serve slightly sweetened whipped cream and add some heart shaped sprinkles to the top! Sift cake flour, powdered sugar and salt into a medium sized bowl. Set aside. In a separate bowl, beat the egg whites until foamy. Then add the cream of tartar. Beat until soft peaks form, then sprinkle the sugar in and continue to beat until the peaks look glossy (slightly shiny) Lastly add the vanilla and lemon zest. Beat until peaks are stiff. 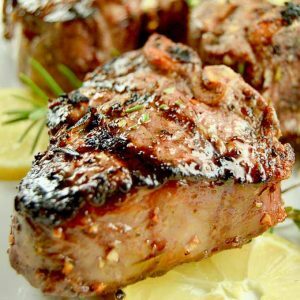 OPTIONAL: You can add 1/4 teaspoon of lemon oil if you like a stronger lemon flavor. To the egg white mixture sprinkle 1/4 of the flour mixture over the top, then immediately add the shredded coconut over the top of the flour. Using a spatula, fold the mixture gently to fully incorporate the flour into the egg white mixture. Do this step very gently. You want to keep the volume you achieved by beating the egg whites to glossy stiffness. Add the remaining flour in in 3 parts until fully combined. To remove the cake from the pan tilt the pan on its side and tap the edges. You can run a cake knife along the edge too.... the edges are sticky and there may be bits that stick to the pan. Don't worry, it is normal, the edges are not perfect but they taste amazing. 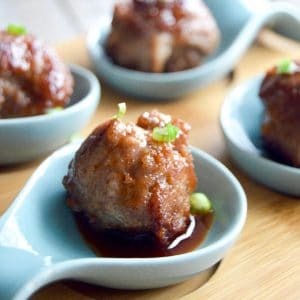 Serve with fresh whipped cream with a little sugar and coconut or along side fresh strawberries. You can also make a sugar glaze and pour over the top once you have cut slices. This recipe was found in my grandmother's recipe card list. It looks like she got it from the local Junior League in Dallas Texas in the early 70's. To substitute all purpose flour measure out 2 cups of flour. Then remove 4 tablespoons of it and replace it with 4 tablespoons of cornstarch. Sift together. I’ve never read or made an angel food cake using powdered sugar instead of cane sugar (the regular). Very interesting! 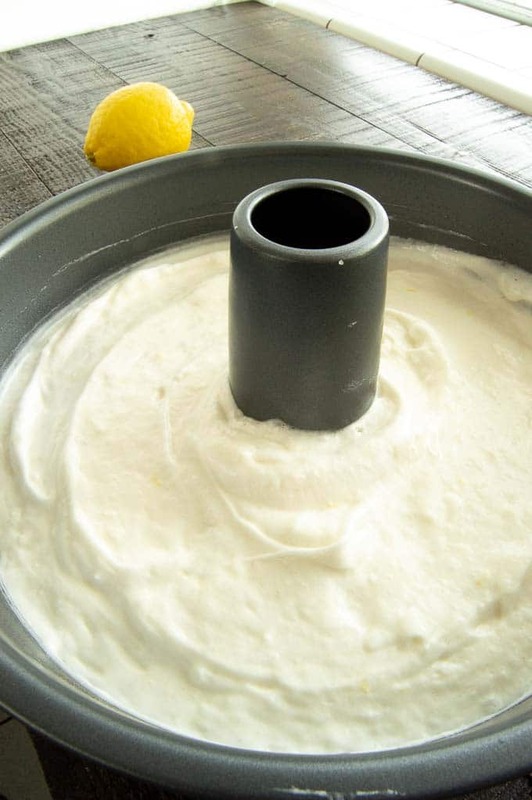 Great tips for making angel food cake!! And I had no idea why I was always instructed to add my dry ingredients in sections! Thanks for that pro-tip!!! I’m so glad to rediscover this cake. It’s not too sweet and the texture is amazing!